Printed in Switzerland, this story and colouring book contains illustrations, stories, patterns, color pictures and more. 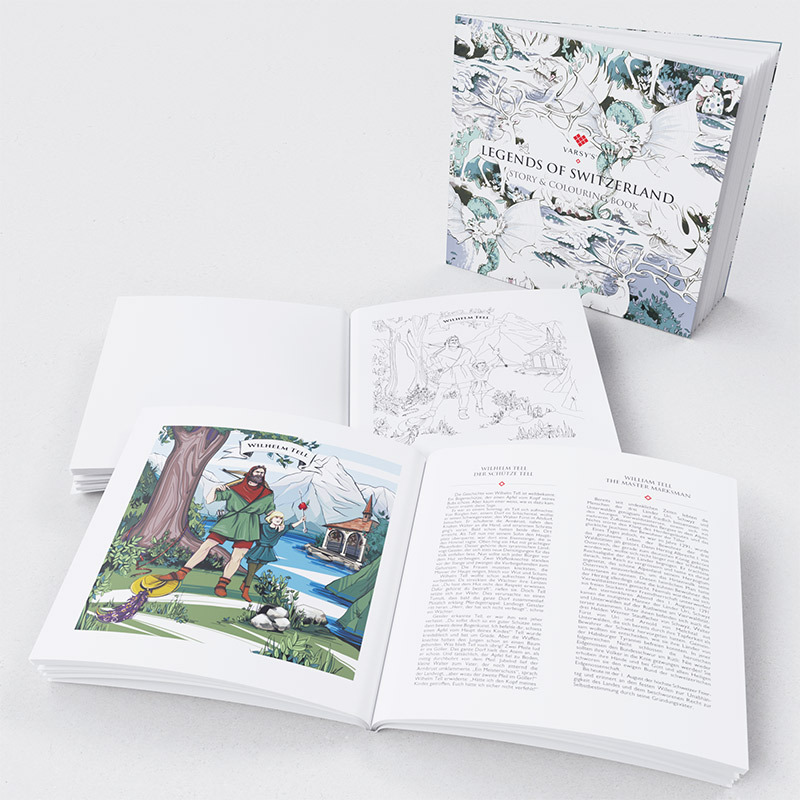 It can be enjoyed by the whole family as a colouring book for children, an adult colouring book, or a story book. Our Swiss-made story and colouring book materials are responsibly sourced to make sure that the paper we use is sustainable. We want to make sure that our planet is healthy for the future generations to enjoy.